Home / Features / VR – where to now? I have been around technology long enough to remember when the first virtual reality wave came around. Back in the ‘90s VR headsets were released that promised so much, an escapism like no other with a chance to explore brand new worlds. I remember seeing the Atari VR previewed in a magazine, I was just so excited! As you probably know once released these pieces of hardware offered very little in the form of escapism, unless staring at a handful of blinking pixels was your idea of fun, Tron this was not, and Atari VR? Well, except for a few prototypes, it never even saw the grim light of day. In short they all failed, but not all was lost, cut to 2014 and the second wave hit a homerun. Oculus and HTC brought true VR experiences to everyday users and I loved every second of it (and still do). From exploring the scale of our own solar system and beyond to running from zombies in Arizona Sunshine, I can safely say VR was worth the wait. 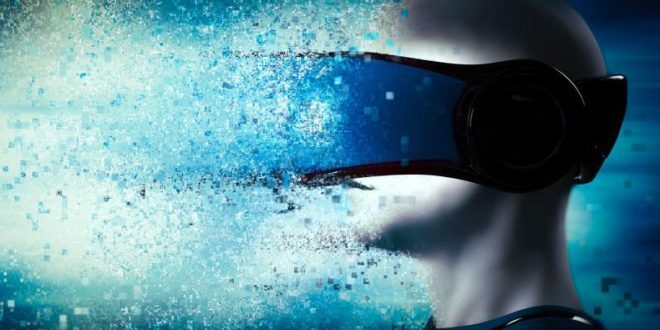 Since then, Utopia has helped our clients find new ways of pushing the boundaries of VR, our computers have powered VR experiences as far away as Dubai. Closer to home, we have helped hundreds of school children and college students see how VR could transform their classrooms by taking them on journeys to visit elephants in Africa or even to ancient Egypt. 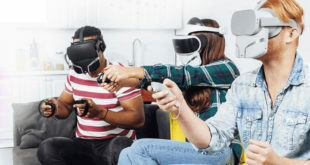 As well as demonstrating how technology like VR, AR and MR will transform the workplaces of the future and don’t forget having fun too, VR really does provide a form of escapism like no other. I keep seeing headlines floating the idea that somehow VR is stalling, that the technology is not moving fast enough and that it might just fizzle out into oblivion never to be seen again. From my perspective we are only just at the beginning of a tidal wave of new products and revolutionary applications that will affect many of our lives, both from a business and leisure point of view. And it’s not just me that thinks this way. 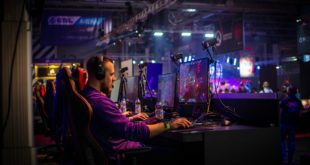 Big-name brands link Google, Oculus, Unity, Unreal Engine and many more are investing in VR as they are confident that we are indeed just at the start. Many retailers regularly ask me how they can make money from this emerging technology. However, the reality is that for most it’s a waiting game at the moment. If you are just looking for a quick profit VR is probably not for you, at least not right now in its current form and at its current price point. However if you have a passion for technology, I say spend your time understanding, sharing and exploring. The future is just around the next corner and who knows you could become the next specialist who is be able to take advantage of this amazing technology that is only going to get better and keep on expanding into a range of different markets.